Acupuncture is effective for many common health concerns. Acupuncture is especially effective for pain management, neurological, and muscular pain. Many stress conditions, respiratory, digestive, urinary, menstrual, and reproductive problems respond to acupuncture. This protocol uses the National Acupuncture and Detoxification Association standard protocol for smoking cessation and alcohol or drug withdrawal. Treatment includes ear acupressure beads to prolong the treatment effect. Each treatment utilizes the principles of acupuncture and Traditional Chinese Medicine to balance the body and promote healing for many common ailments. 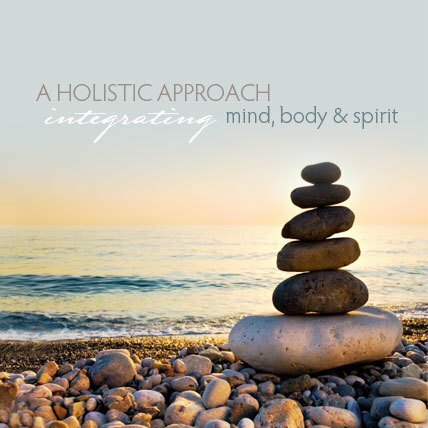 Your individual needs are evaluated and your treatment customized to promote optimum healing and wellness. Generally a minimum of 3 treatment is needed to address most concerns. Acupuncture works to establish optimum body function and facilitate conception, a healthy pregnancy, and successful delivery. The treatment works to correct the underlying problems and improve her overall well-being about three months before she attempts pregnancy. Studies have shown that acupuncture significantly increases the success rate of assisted reproductive treatments 40-60%. Acupuncture use in conjunction with IVF can improve the quality and quantity of eggs per cycle and reduces the side effects and discomfort often associated with artificial hormone manipulation. Acupuncture can provide a safe, effective alternative for many of the health complications that may arise before, during and after pregnancy. Acupuncture is as an optional adjunctive treatment to stimulate contractions and influence cervical ripening or induce labor for overdue pregnancy. Acupuncture can also be used turn a breech presentation. This protocol addresses muscular pain in the back neck and shoulders. Acupuncture points are stimulated with micro-current along the full length of the spine with distal points. Then frequency specific micro-current electric stimulation is applied utilizing specific frequencies to address myofascial trigger points in the body. Cupping therapy employs negative pressure therapy, rather than tissue compression, for superior results. Cupping therapy creates suction that lifts and releases rigid soft tissues, drains excess fluids and toxins, loosens adhesions, and increases blood flow to stagnant muscles. This direct deep tissue myofascial release technique addresses many conditions, facilitates lymphatic drainage, removes toxins, and releases deep tissue muscular spasms. This treatment may temporarily discolor skin depending on each person's toxicity level. Gua Sha is a Traditional Chinese Medicine counteractive therapy to treat opposite conditions. This therapy that uses instruments to assist in scraping the surface of the skin to therapeutically bring blood to the surface to promote healing. Gua sha increases the important chemicals in the body that are clinically effective for many inflammatory conditions such as mastitis, hepatitis, and pain conditions. This treatment will leave red marks on the skin that fade over a short period of time. FSM is a system of treatment using micro-amperage current and resonance effects of specific frequencies on tissues and conditions to reduce symptoms and improve health. Microcurrent is in millionths of an ampere and is the same kind of current your own body produces so you can't feel the current. Microcurrent has been shown to increase cellular energy production by 500% and numerous research papers document its ability to improve wound healing and fractures. The frequencies appear to change pain, function and structure in a large number of clinical conditions. FSM is especially good at reducing inflammation, treating nerve, joint and muscle pain and restructuring scar tissue. FSM may also be incorporated with other treatment modalities to enhance therapeutic benefit.